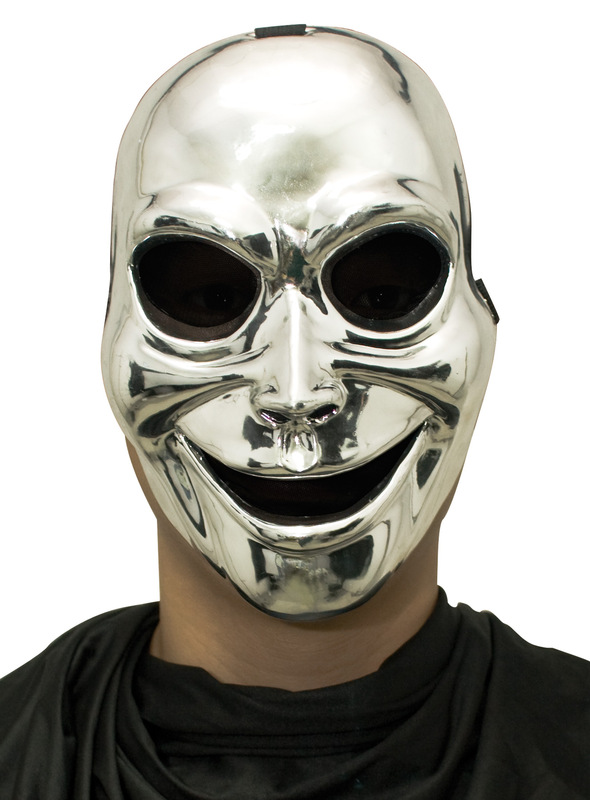 Plastic face mask with metallic silver finish, netted eyes and elastic strap. Hockey style masks are lightweight, easy to wear, and oh-so creepy! Masks include foam square at forehead for added comfort and wearability. One size fits most.